What Is the History of the State Flag of Nebraska? Nebraska's current state flag was officially adopted in 1963, making it among the last states to adopt an official flag. Nebraska officially became a state on March 1, 1867. 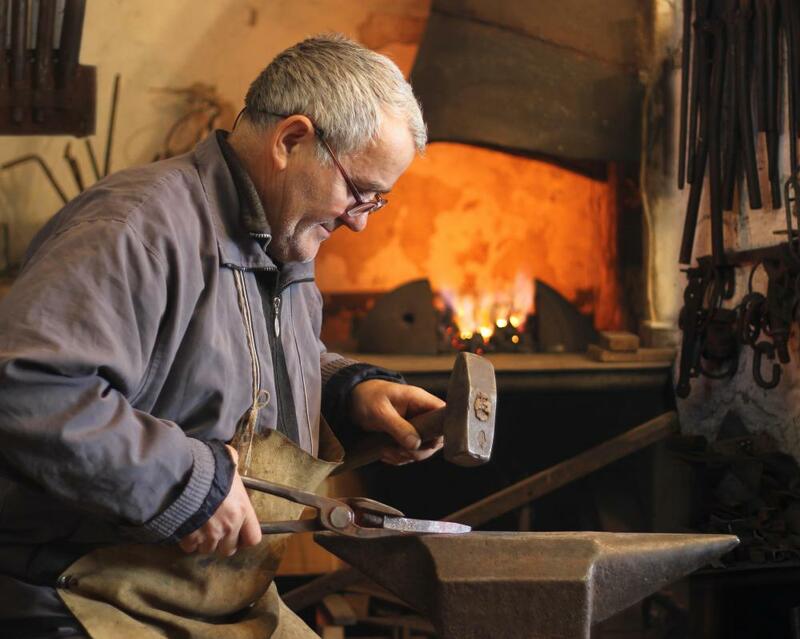 One scene depicted on the state flag of Nebraska is a blacksmith at his anvil. The state flag of Nebraska was designed on 28 March 1925, and officially adopted in 1963, making Nebraska one of the last states to adopt an official state flag. The flag's design features the Great Seal of the State of Nebraska, in silver and gold, on a blue background. The state seal itself is believed to date back to 1867, and was obtained by Secretary of State Thomas Kennard. The seal depicts scenes of agriculture, industry, trade, and western expansion. Advertisers are generally forbidden from using the state flag of Nebraska as a promotional tool, and the flag itself must typically be flown beneath or on the left side of the flag of the United States in places such as the Nebraska State Capitol building, the Governor's Mansion, and any other public institutions of the state of Nebraska. 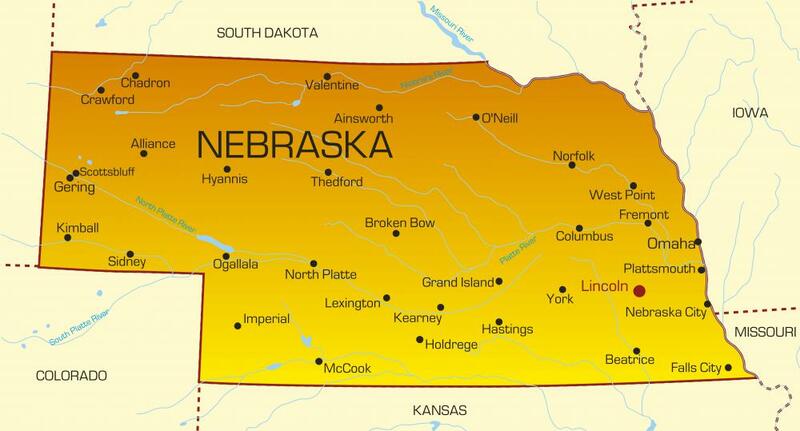 Nebraska officially became a state on 1 March 1867. 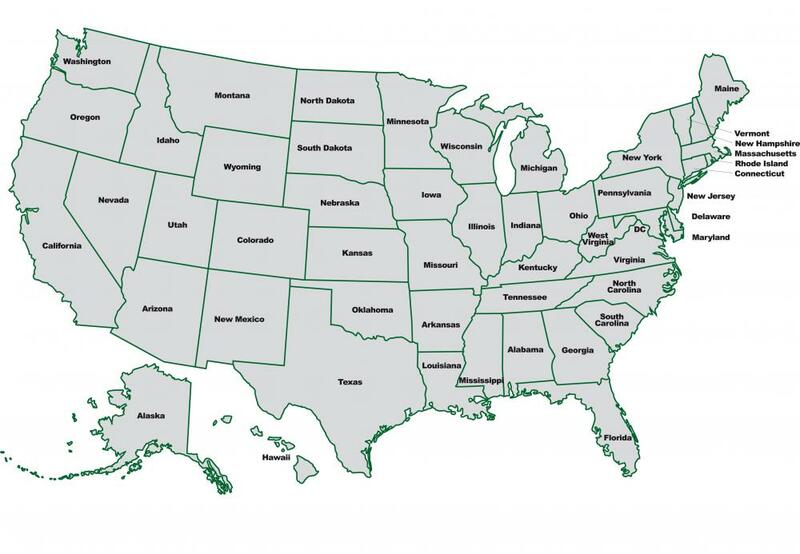 For some time, the state did without an official flag or banner. Representative J. Lloyd McMaster is usually credited with proposing the idea for an official state flag to the Nebraska legislative body in 1925. The flag was generally referred to as the "state banner" until 1963, when its official designation was changed to "state flag" by the Nebraska legislature. The design of the state flag of Nebraska is generally considered quite simple. The state's Great Seal appears on the flag in silver and gold embroidery, while the flag itself is blue. The seal bears imagery reminiscent of agricultural and industrial activities in the state, and also generally depicts Nebraska's natural resources and geographical features. The Missouri River and Rocky Mountains appear on the Great Seal of Nebraska. The depiction of a cabin, a wheat harvest, and a blacksmith at his anvil are said to represent the state's agricultural and industrial background, while images of a train and a steamboat are believed to represent westward progress. The Great Seal of Nebraska also typically bears the state's motto, "Equality before the law." The border of the seal generally displays the anniversary of Nebraska's statehood, 1 March 1867. The state seal of Nebraska was created some time before the state flag of Nebraska was designed. One of the state legislature's first acts in the spring of 1867 was designing the seal and allocating funds for its creation. Governor David Butler, who was Nebraska's first governor, is credited with signing this bill into law on 15 June 1867. What Is the History of Maine's State Flag? What Is the History of Oklahoma's State Flag? What Is a State Insect? What is a State Flag?